Legendary Durability Resists tearing and will not shred like Mylar blankets. 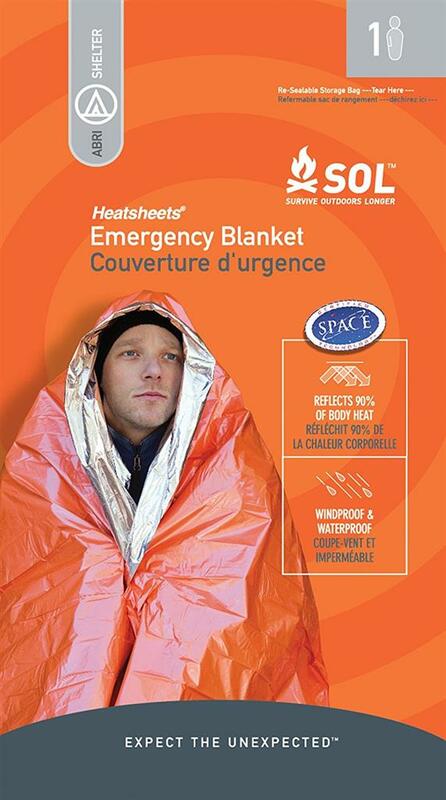 Shelter from the Elements Heatsheets material is waterproof and windproof. Stay Warm Reflects 90% of radiated body heat. More than Just a blanket. A true ultra-light multifunction backcountry tool that can also be used as a ground cloth, gear cover, first aid blanket, and more. Size: 56" x 84"